Glutathione is found within most cells in the body. Biologically, it is known as the "master antioxidant" because of its ability to recycle other antioxidants, as well as protect cells from oxidative damage. The body produces its own glutathione, but levels may be depleted by poor diet, pollution, toxins, stress, ageing and infections. Even partial glutathione depletion has been shown to impair immune function and increase the susceptibility to free radical damage. Oral glutathione is known to have poor bioavailability. Glutathione Plus features Setria® Glutathione which is a reduced glutathione that has been clinically shown to increase blood glutathione levels when taken orally. Glutathione Plus is a unique and targeted formulation of reduced glutathione as Setria® Glutathione, potentiated by a synergistic blend of herbal extracts and key nutrients. Who is Glutathione Plus suitable for? Glutathione Plus is suitable for people over the age of 12 years, especially those who may be in need of improving their glutathione status. Glutathione is biologically critical to the proper functioning of the immune system and to protect all cells from damage - all of us could benefit from healthy glutathione levels. Biologically, glutathione is present in most cells in the body, where it protects the cells from oxidative stress, as well as the detoxification of toxins and carcinogens. Glutathione is commonly known as the “master antioxidant” as it recycles other antioxidants including vitamins C and E. It is important for the proper functioning of the immune system as well. Maintaining adequate levels of glutathione within the body is very important for maintaining our health and our immune system. Glutathione is made up of the precursor amino acids cysteine, glycine and glutamic acid. Cysteine can be difficult to obtain from food due to bioavailability issues which may prevent adequate levels of glutathione being produced in the body. Glutathione Plus contains Setria® Glutathione, which has been shown in a clinical study to increase the body’s stores of glutathione. Two capsules a day provides 250mg of Setria® Glutathione (reduced L-glutathione). • Milk thistle extract (Silybum marianum) – a popular herb that provides the active flavonoid silymarin. Milk thistle has a long traditional use in providing support for the liver. • Green tea extract (Camelia sinensis) - contains powerful polyphenols that include catechins. Catechins have been shown to protect the body and cells from free radical damage. • Turmeric extract (Curcuma longa) – contains the active constituent curcumin, which has powerful anti-inflammatory actions throughout the body, as well as protecting cells from oxidative damage.  • Alpha Lipoic acid – a key nutrient within cells, that biologically regenerates other nutrients, specifically glutathione, vitamins C and E, and coenzyme Q10. • Selenium – a vital trace mineral that can easily be lacking in our diet. It helps to protect our cells from oxidative stress and is important for the functioning of the immune system. Glutathione Plus is hypoallergenic and is both vegetarian and vegan. Only 2 capsules a day are all that are needed. Do not use in pregnancy or breastfeeding. If taking medication or have a medical condition consult a healthcare practitioner before using this product.